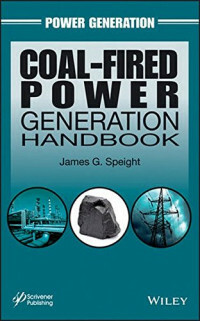 The most complete and up-to-date handbook on power generation from coal, this book covers all of today's new, cleaner methods for creating electricity from coal, the environmental challenges and concerns involved in its production, and developing technologies. It describes new technologies that could virtually eliminate the sulfur, nitrogen, and mercury pollutants released when coal is burned for electricity generation. In addition, the text details technologies for greenhouse gases capture from coal-fired power plants, as well as for preventing such emissions from contributing to global warming. Steve Harris shows current .NET developers (with programming experience) a brand new programming model that lets them immediately use ASP.NET to create Web applications, including both Web Form applications and Web Services. I don't think there's an excuse for not buying this book. It's a gold mine that will enrich your skills for a very low cost.